Mainstream religious thought is rife with oppressive doctrine, patriarchy, and bigotry. Global history is colored by the death that deity worship has caused, yet many of those who deny spiritual practice have adapted or acknowledged the beneficial tenets that are professed by most faiths. That is to say, in all things there is balance if you look past what is presented TO you and instead create something that is made FOR you. Towards this end it helps to dissect the process of spiritual work, utilizing what rites and practices most apply to understanding of the self while discarding or re-purposing the things that are detrimental to personal growth. The result of understanding this process is a personal method of access to an intangible force of nature. 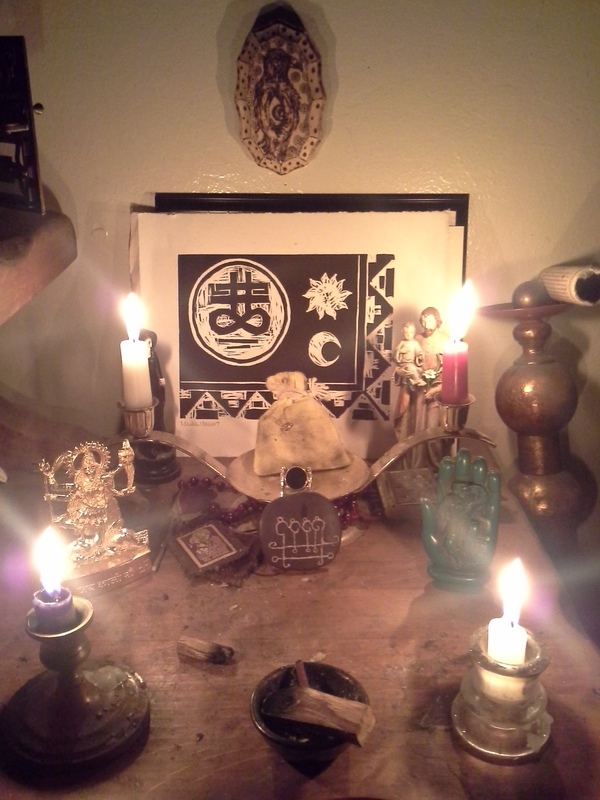 More frequently this method of access is used in ritual and energy work termed as “magick”, not in communicating with a cast of characters enforcing rules as professed by many religious institutions. Anarcho-Spiritualism is not a religion, it is not a doctrine, it isn’t even a collection of “good ideas”, Anarcho-Spiritualism is a political and spiritual practice that encourages the study of theology and the occult outside of any institution or system to further our self-knowledge and effect. Unfortunately the term “spiritual” is so poorly defined that the designation often feels meaningless, spirituality has become a catch-all term for any practice outside of an individuals native culture.